Datamolino digitises your invoices, bills and receipts for use in Sage One Accounts. All you need to do is scan and email the paper document to Datamolino and they take care of the rest. 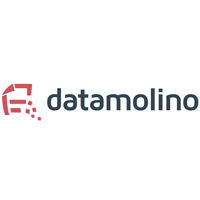 PDFs or scans can be just emailed directly to Datamolino for true paper free accounting! It really is that simple. The service will read your supplier information, invoice dates, totals and VAT details. Once you’re happy that the data is correct then importing that invoice into Sage One couldn’t be easier. Now you can do your bookkeeping without any manual retyping whatsoever.